In a small bowl, dissolve the yeast in the warm water and let stand until frothy, about 10 minutes. Sift the flour into a large mixing bowl. Add the salt and mix well. Make a well in the center and add the yeast mixture, milk, egg, and butter. Stir with your hand to incorporate the ingredients. Scrape the dough onto a lightly floured surface and knead until smooth and elastic and not tight, about 10 minutes. If the dough is still sticky, add more flour and knead but do not overdo it with the flour. Put the dough back into the large mixing bowl, cover with a kitchen towel or plastic wrap, and let rise in a warm spot, until it doubles in bulk, about 1 1/2 hours. 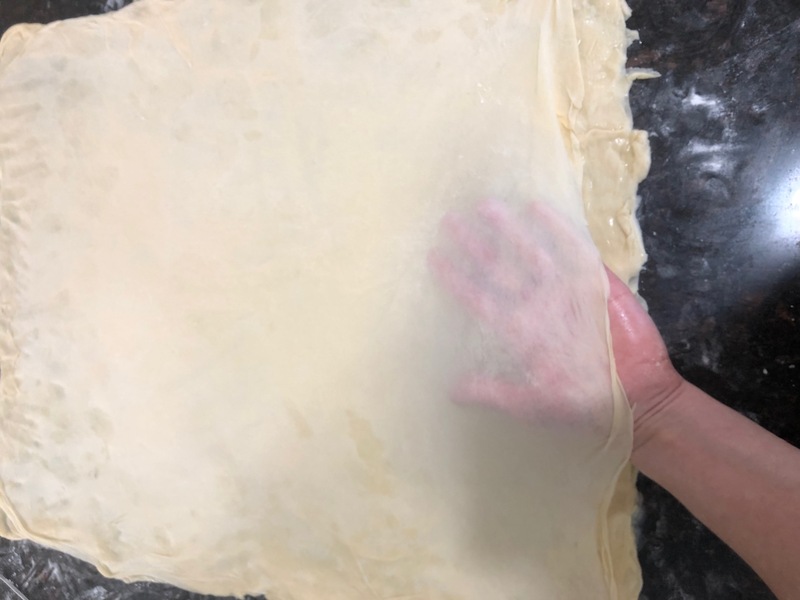 The dough will be puffy and soft when poked with a finger. Toast the fennel and cumin seeds (or anise seeds) on a hot skillet for about 2 minutes, until their aroma rises (toasting will intensify their aroma and flavor). Grind the spices in a spice grinder or with a mortar and pestle. 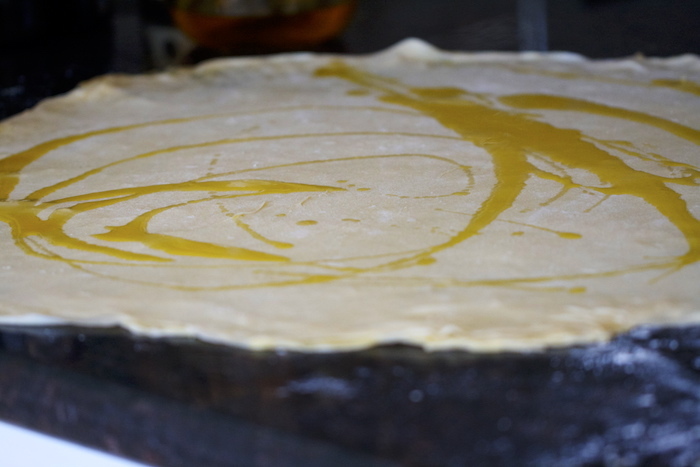 In a medium mixing bowl, combine all the ingredients for the filling except the butter. Stir to mix. Gradually add the melted butter and rub with your fingers until you obtain fine crumbs. Set aside. Have 2 large baking sheets ready. You will need a large work surface divided into two sections: one to roll out the dough and another to assemble the layers. Sprinkle some flour onto one half of the work surface on which you will roll out the dough. Generously oil the other half of the workplace (or sprinkle with flour, too). Shape the risen dough into a log and divide into 9 equal pieces. Shape each piece into a ball. Work with one ball at a time and cover the rest with a kitchen towel. Using a thin, long rolling pin, roll out one ball into a 20-inch circle that is about 1/16-inch thick. 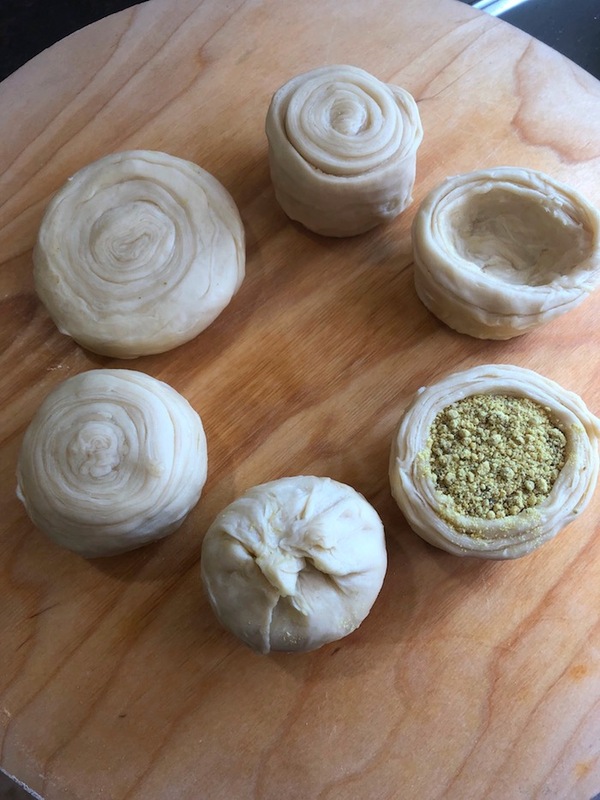 When you roll the dough, from time to time sprinkle it with flour and spread all over the circle to prevent it from sticking to the rolling pin and for easier rolling. Wrap the rolled-out circle around the rolling pin and unwrap on another side of the work area. Drizzle 5 to 7 tablespoons (be generous) of the butter spread onto the circle and spread over the circle with your hand. 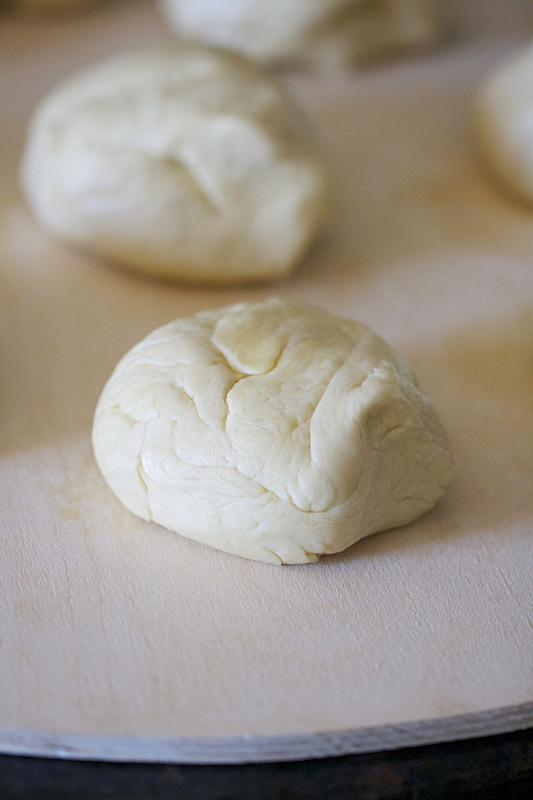 Roll out the second dough ball and place on top of the first layer. You can roll it out into a smaller circle. Now, with your hands, hold the edges of the second layer and very gently stretch in all directions (first one side, then the other, etc.) to fit the bottom circle, then stretch them together until a large rectangle is obtained (rectangle will be easier to cut into equal-size strips at a later stage, but it is not mandatory – circle is ok too). 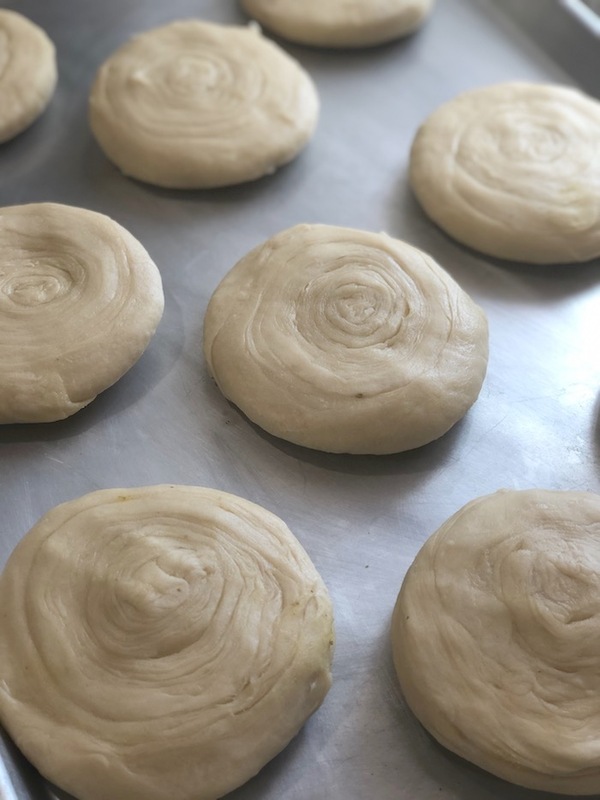 Continue rolling up the remaining dough balls in the same fashion, placing them on top of each other, brushing with butter (except the final layer, which should not be buttered), and stretching with your hands. 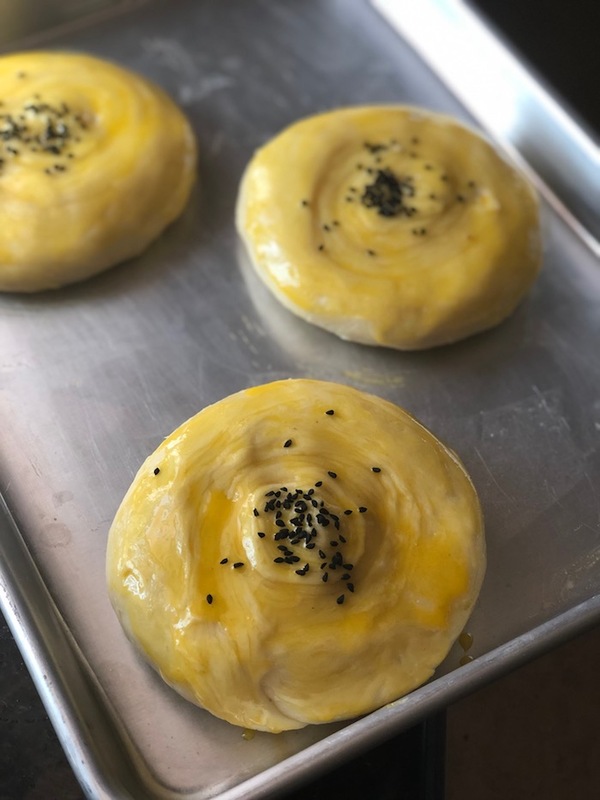 Again, roll the subsequent balls smaller that the first one – you will stretch them after you have placed them on the previous buttered layer. Each stretched layer should be almost see-through (see photo below). 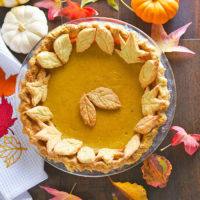 Take care not to tear the layers when you stretch them, but should this happen, do not worry – leave them as is or try to patch them if you can with pieces of dough. Once all the layers are ready, gently pull the sides of the layered rectangle to stretch as far as it can go. The thinner and wider the layers, the flakier the breads will be. Ideally, you can obtain a rectangle about 20 by 26 inches. If your rectangle is smaller, it’s ok too. Next, using a sharp knife, cut the layered rectangle along its shorter side into 2 1/4-inch-wide strips. For smaller breads, cut shorter strips along the longer side of the rectangle. Slightly stretch each strip lengthwise (this will make the layers thinner and the bread flakier), then beginning from one narrow side, gently roll it into a tight roll-up. Leave the roll-ups aside to rest for 10 minutes. Take the roll-up in your hand, one of the layered sides up. Either press the end of the strip onto the side of the roll-up to seal it or bring it right into the center of the top layered side and press down with your index finger to “insert” it into the roll-up, creating a hole in it, but only halfway through. 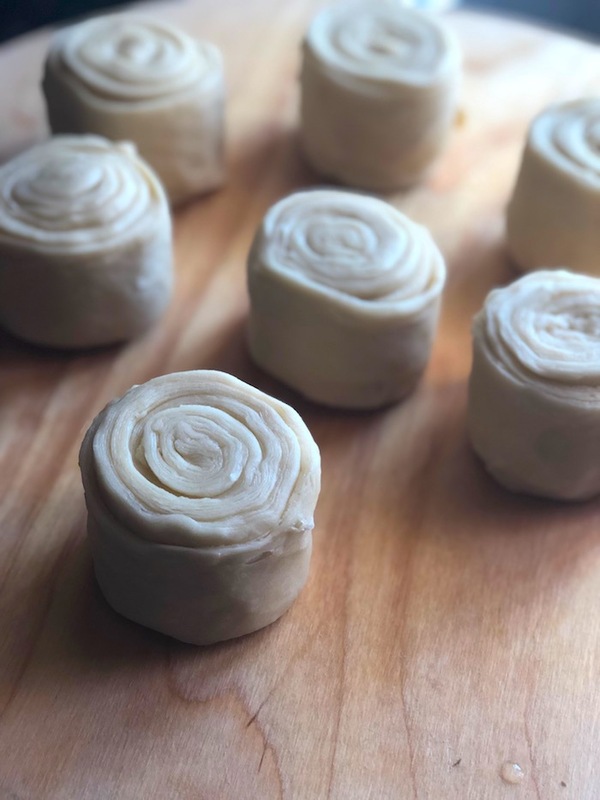 Now, using your fingers, begin pushing away from the center of the roll-up to the sides to hollow it out (it should look like a mushroom cap). While you do this, remember to leave the bottom half of the roll-up intact (the layers should be distinct). With a spoon, fill the hole with 1 1/2 to 2 tablespoons of the spice filling, packing it gently. Bring the edges of the open end of the bread together and seal to close. You will obtain a stuffed bread. Place the bread on a flat surface, sealed side down, and press gently with your hand to flatten it into a 4 to 4 1/2- inch disk, depending on preferred size. 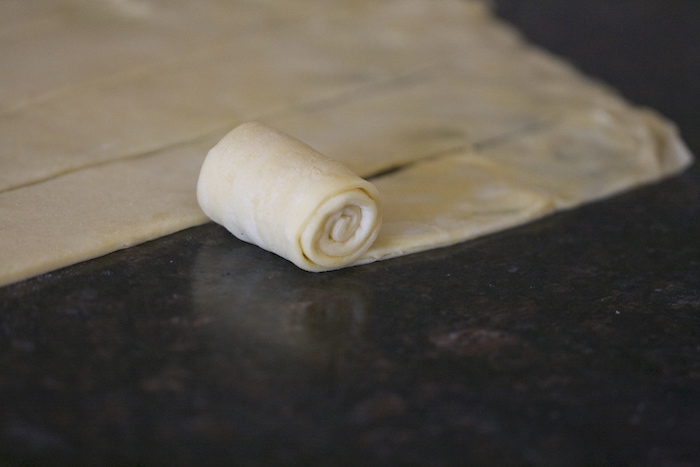 Continue with the remaining roll-ups in the same manner and place them on the baking sheets, spacing them at least 1 inch apart. Preheat the oven to 360˚F. Brush the tops of the breads with the egg yolks and sprinkle with Nigella seeds. Bake for 40 minutes, or until golden on top, switching the pans halfway through. Remove from the oven. Allow to cool completely before serving. Keep the breads in a large covered container, such as a lidded saucepan for about a week. Otherwise, freeze in ziplock backs. When ready to use, defrost at room temperature and, if desired, heat briefly in the oven to bring back the freshness. Those look fabulous and so scrumptious! A gorgeous speciality. If only I could reach through the monitor and grab one (or two) for breakfast, my day would be off to a great start. How lovely! 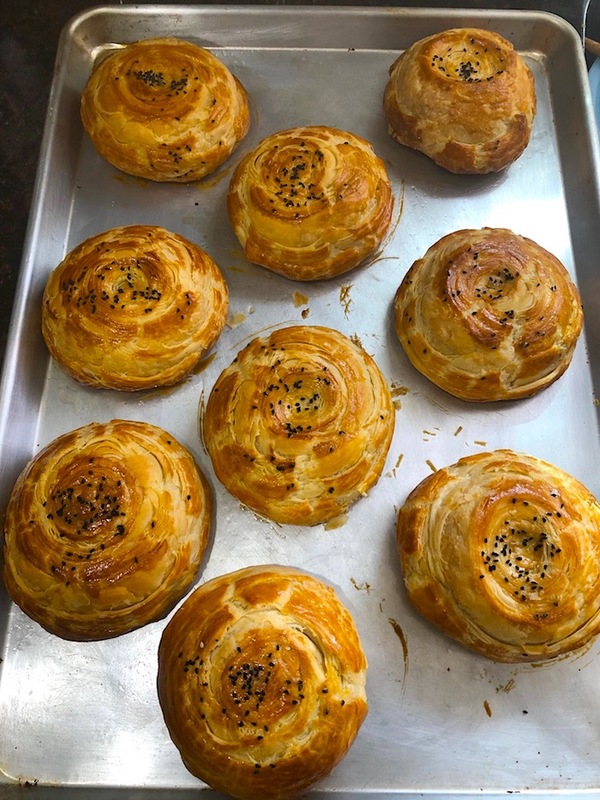 You did an amazing job showing how to make these treats. Eid-e shoma mobarak! Definitely a labour of love! Terrific and clear guide! Now for buying those seeds. 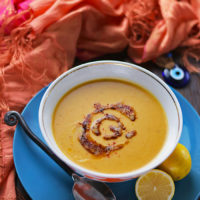 Thank you dear Farida for a wonderful recipe! You inspired me today make this gogal. Thank you so much! Farida, thank you for the recipe. 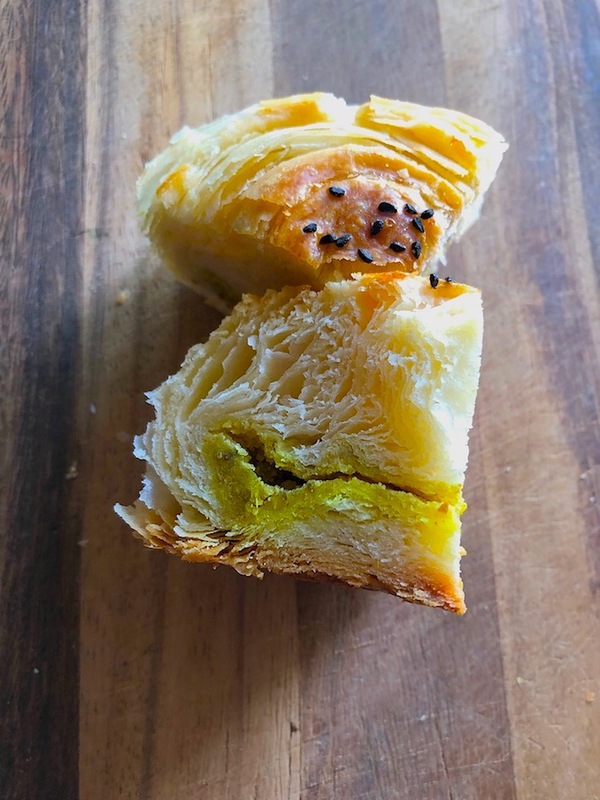 In Türkiye we have some breads in Erzurum, like this ones ; but we don’t use spicy filling in them, and they are called “KETE”.I’ll try them, because we love all spice u use for them.Happy NEVRUZ to you. It turned out very well. I tried most of your recipes. I find them easy to use and follow. Thanks again for sharing with us! 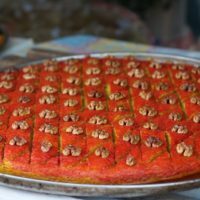 I really miss my grandma’s shorgoghal with butter for breakfasts during march. 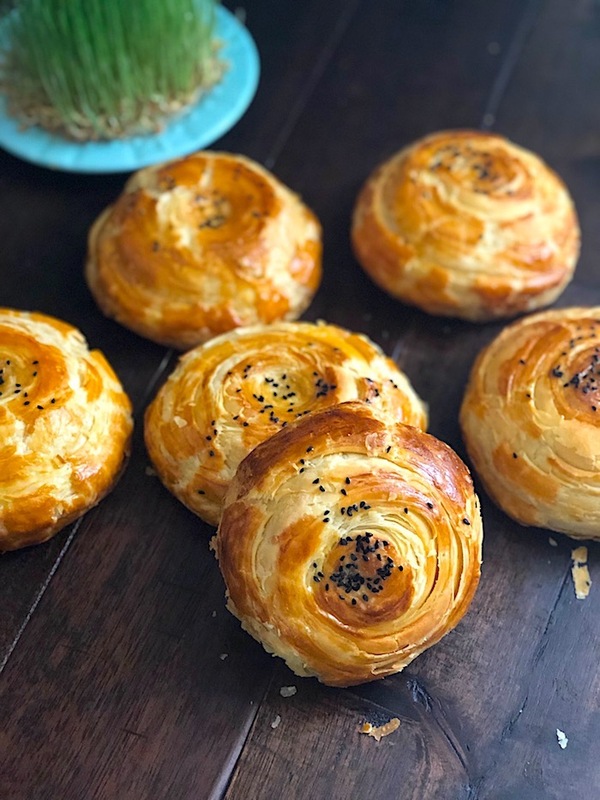 Unfortunately, living abroad, but I will definitely show my wife how to do these… because Novruz is coming. 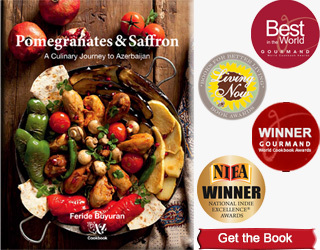 Farida,I admire the way you explain your recipes.It makes things so much easier for us. I’m glad you took photographs of each step. 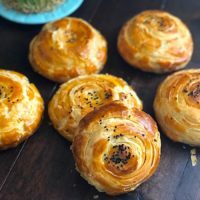 🙂 I love all the spices you added to these breads so I think I might have to be brave and attempt to make these. These sound delicious! Just found you through Foodbuzz congrats on Top 9!! Will definitely be dropping by often!! I love good flat bread, and these look terrific. I’m particularly fascinated by the way you roll the dough flat, make ribbons and then roll those up. Thank you for all your lovely comments. Enjoy! Wow!!! This is an incredible amount of work. The dough looks similar to a Roti dough we eat in Singapore. Farida mon amie, ce pain est une merveille. Il est non seulement beau mais il doit être très bon aussi. Never tried this soup, but I think it is very useful! These are wonderful and a project I would like to have one day in my kitchen! 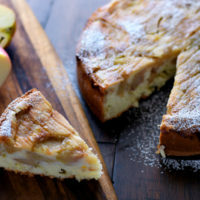 wow this was a bit of a process, but i am sure it worth all that work, looks absolutely deliciuos. 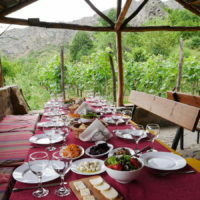 Ellerine saglig janim, yorulmayasiz, Day gog vam bolshe vdaxnavleniye v vashem kulinarnom isskustve!!! Hello! These shorgogals look amazing. I would like to try to bake them soon. There is one thing I would like you to please clarify, how many layers do I use on top of each other? If it is 9 layers then according to the picture it doesn’t make 16 to 18 shorgogals. Can I do less layers? Nata, it is 9 layers in total. There will be some shorter rectangles as Zyumka mentioned (thank you, Zyumka), I use a trick for those: I “glue” the ends of two short rectangles together to obtain one long rectangle, then I roll them up:) Enjoy! 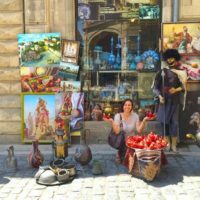 Dear Farida-xanim, many thanks for the detailed instructions with photographs. 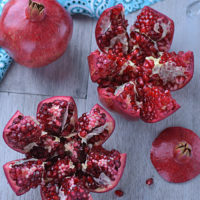 I have just finished one of the gogals my sister sent to me for Novruz and decided to look up a recipe, so that I could make more myself. Your version looks perfect, and I will definitely try it. These are amazing! Your recipe is so beautifully written. My girlfriend and I just finished making these and they are delisious! Thank you for taking the time to post detailed instructions! Over last new year we had gohol straight from Azerbaijan, and these are just as tasty!! So glad you made them! Enjoy! 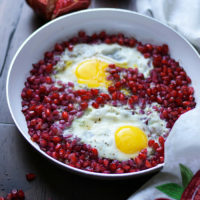 wow..this looks so amazing and you have made the recipe look so simple with steps wise directions. Thanks for sharing. I am now eagerly waiting to try this out.